This pattern is just one of the many master pieces created by Robert Lanzara for Walt Geryk. 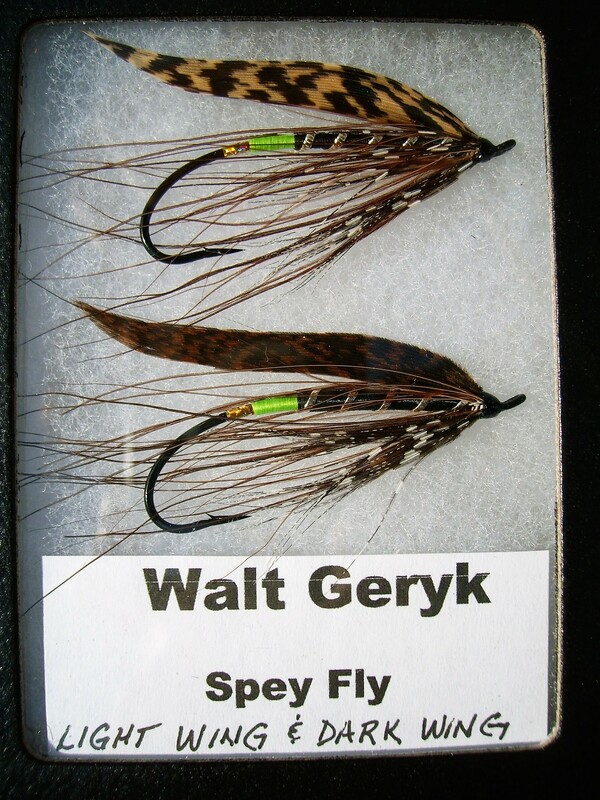 The Walt Geryk Spey Fly, spun in 2011,was created to be natural colored and true Steelhead fish getter and has proven itself very well throughout the Great Lakes Tributaries. A pleasant surprise is how extremely successful this pattern is performing for the Atlantic Salmon on the Miramichi. Many tight liners are now using it with great success! The most popular size hooks used today for these patterns are the Alec Jackson's 1.5s and 6s. 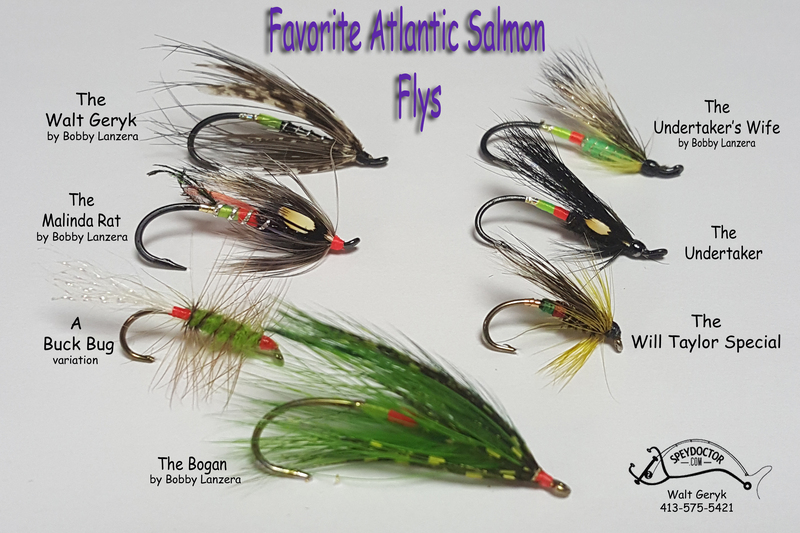 These patterns were tied by Malinda Barna of the legendary Malinda's Fly, Tackle and Spey Shop in Altmar New York. 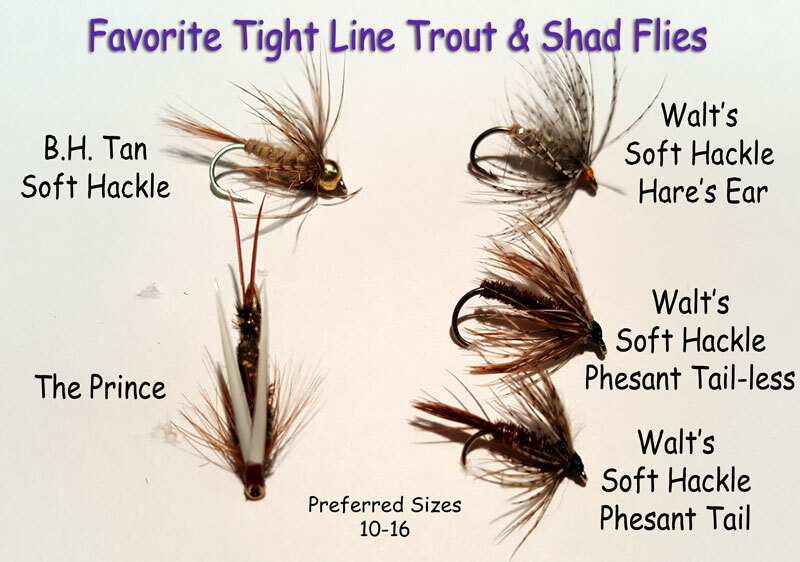 Many tiers have simplified this pattern to allow for easier tying and the use easily accessible materials to meet the hook size requirements. 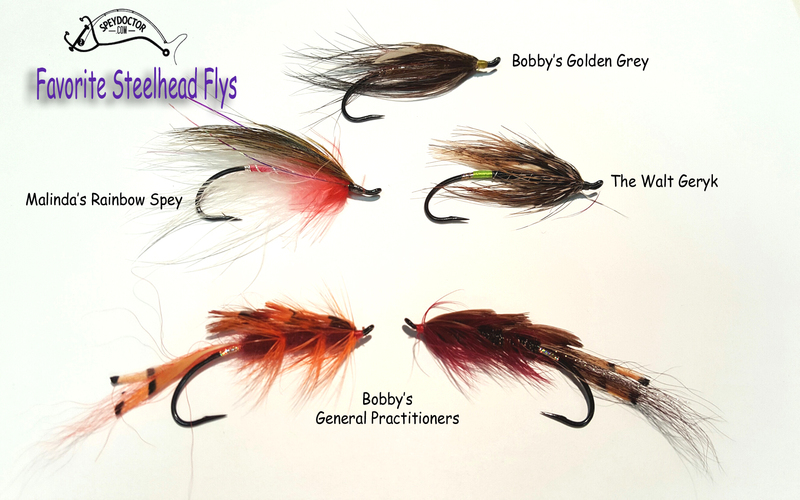 The fishing version of The Walt Geryk Spey Fly are available at the shop in sizes 1.5 and 6. 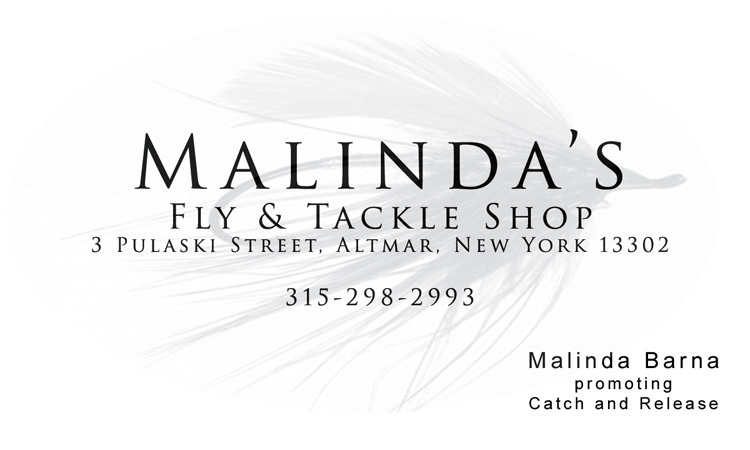 For more information these and other fish getter spey flys for salmon and steelhead, be sure to visit Malinda's Face Book Page or give her a call at 315-298-2993. To keep the bright colors bright on all your flies in the water, always wrap silver tinsel under those areas. Want to unravel the mysteries of Spey Casting? Want to learn and understand more about Spey casting but need time with an expert to tighten your loops & extend your distances? Then Walt Geryk's Spey Casting and Fly Fishing School is your opportunity to do it. Talk equipment, use the finest Hardy & Fenwick single and two-handed rods and reels all spooled up with Airflo, Rio and Royal Wulff Products. Spend time on the river and in the classroom learning and understanding the details of two-handed casting. Get the critical instructions needed to gain confidence used in the casting style that has swept North America. Join Walt for the most comprehensive and educational spey fly fishing experience offered in North America. Walt Geryk's Spey Casting and Fly Fishing Schools are detailed in modern and traditional single and two-handed fly, spey and scandi casting and are offered in various locations throughout the Northeast, New England, New Brunswick Canada and the East Coast. Learn the ease of casting two-handed spey rods and how to effectively fish them for trout, pacific salmon, steelhead and Atlantic salmon. � Copyright 2017 by Walter Geryk. All Rights Reserved.